Prime Minister Imran Khan on Monday launched a health insurance programme for the underprivileged strata of the society. 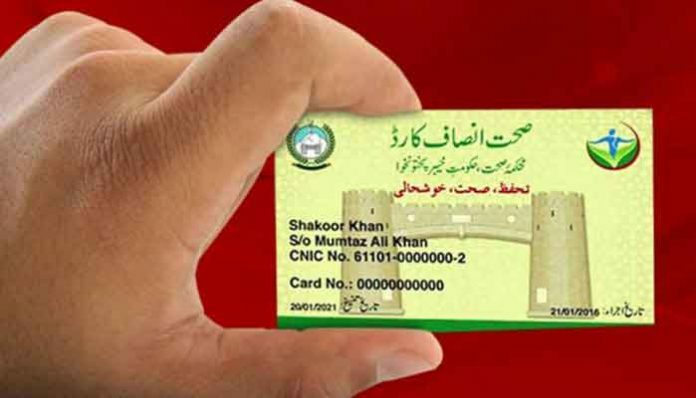 Under the Sehat Insaf Card scheme, free healthcare worth Rs720,000 will be provided annually to each deserving family. In an attempt to alleviate poverty in low socioeconomic groups, citizens shall be issued health cards, the premier addressed. “This will bring massive improvement in the state of healthcare for people in tribal areas and Punjab,” PM Imran said while addressing the launching ceremony in Islamabad. PM Imran maintained that the government shall appoint a counsel for a common man to dispense speedy justice. Speaking to the participants, Minister for Health Aamir Mehmood Kiani said under this scheme, each deserving family will be able to obtain medical care worth Rs720,000 annually, Radio Pakistan reported. “It will cover all costs except transplants,” he said. 85,000 families will be provided health cards in Islamabad and every cardholder shall be provided transport up to Rs1,000 per hospital visit. The health minister said three new hospitals will be established in Islamabad and the existing health facilities are also being upgraded. An additional budget has been allocated to further the project. On Sunday, Punjab Governor Chaudhry Mohammad Sarwar underscored the Pakistan Tehreek-e-Insaf (PTI) government’s efforts for bringing good governance and rule of law in the country. Sarwar apprised that the premier was to announce a health insurance program as part of the provision of basic facilities of health and education was the responsibility of government.